Welcome to December! Crazy to think we are only a few weeks from Christmas. Is your tree already up? Your Christmas shopping done? Do you do any Christmas baking? Drop a comment in and let us know what you’re up to in your preparation! Hallee Bridgeman’s winner is Sarah King! Liwen Ho’s winner is Priscila Perales Borda! Alexa Verde’s winner is Wemble! Melanie Snitker’s winner is Sue Stinnett! Lindi Peterson’s winner is Kris! Carol Moncado’s winner is Jessica B! 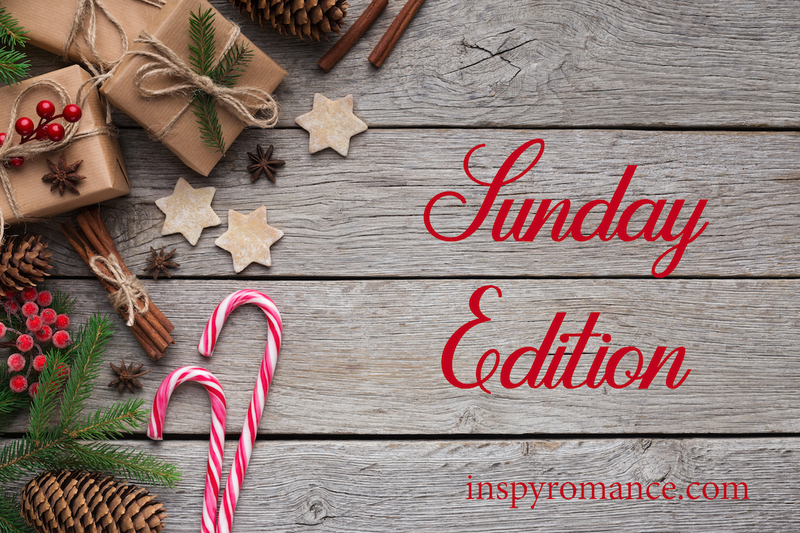 Did you know Inspy Romance hosts a Christian Romance Reader Gathering group on Facebook? Join us… but don’t forget to answer the questions for admittance! 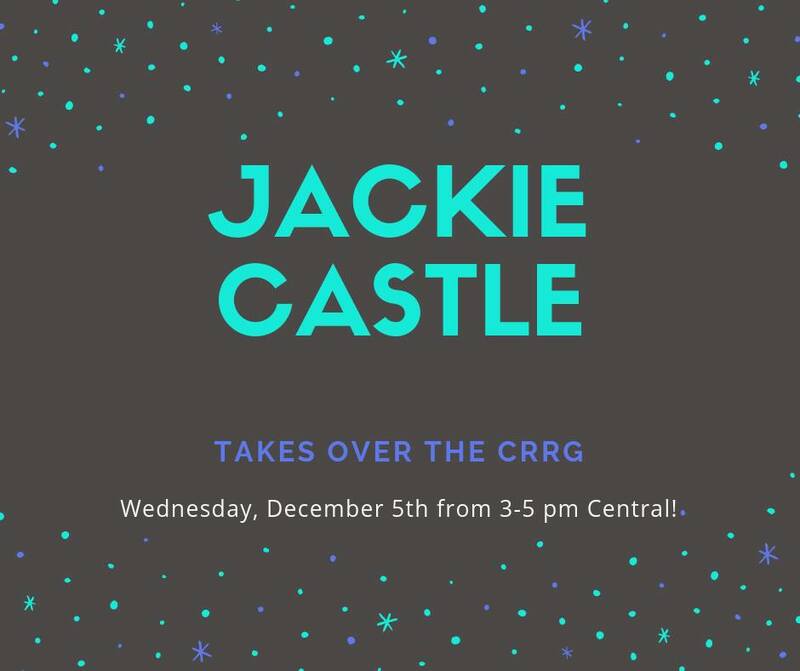 Join us this week for Jackie Castle’s TAKEOVER December 5, 3-5pm Central. On Monday, Jackie Castle discussed how love is hard, and making difficult choices. On Tuesday, Marion Ueckermann shared Recovering Hope (and pass the tissues)… and #giveaway. On Wednesday, Heather Gray invited Lucie Ulrich to talk about Mountain View Lodge… and #giveaway. On Thursday, Janet W Ferguson invited Heidi McCahan for a Hero Spotlight of Jeremy Tully from Say You Won’t Go… and #giveaway. On Friday, Cecelia Dowdy talked about Manna and Dessert. On Saturday, Ginger Solomon announced, we need your input! Hi Valerie, each year seems to go faster, December already! We are staying home this year for Christmas, which means using our Christmas tree. Typically, the tree gets put up when school finishes (2 more weeks:) however, this year, the boys talked us into putting the tree up today! They decorated it ad set the nativity up underneath, we tied a wreath to the front door- and it feels like Christmas. They then wanted to start putting presents underneath- so they could poke and guess what’s in them!! I said they had to wait until Christmas Day for that!! The kids already wanting to poke made me laugh. I do believe you might be a wise mama to not offer them this opportunity… LOL. Hi Valerie! The first decorations out are holiday placemats, Christmas wreath by the front door, the Advent wreath, and Advent calendar, plus the children’s Christmas toys – holiday bears, gingerbread people, books, Christmas elf Bella, and Santa’s village. Our Christmas tree goes up after St. Nikolaus Day – December 6. After the tree goes up, the navity ssets will be display, including the children’s. Holding true to German traditions. Christmas card and note are printed. Some shopping done. Hope to bake next week. Visited a German Christmas Market. Blessings on this first Sunday of Advent – Hope and anticipation for the season is in the air. It all sounds lovely, Renate. Yes and Amen to hope and anticipation! Happy Sunday to you, too! Last year we didn’t put up a tree at all due to health issues! And Christmas still came :) I hope you’re feeling better soon. The house is decorated, the presents purchased and mostly wrapped. No baking. I still need to do my dad’s Christmas shopping for him. Look at you all organized and stuff! I’m in awe!!! I just came up from writing through NaNo and blinked. December?!?!? Good morning and congratulations to the winners!! We are forgoing decorating this year, so I guess you could say we are done? Wishing everyone a wonderful December!! As of yesterday, we’ve done ALMOST all our Christmas shopping. We’ve also strung some lights in the bushes along the walkway to our house, but I haven’t done any other prep at all. This week I expect to do some decorating: hang a wreath and some wall hangings mainly. We always have a real tree, and we usually from the forest. In the past few years (except last year) we usually go out with our son, daughter-in-law, and their daughter (6 this year), find a couple of trees, then have a winter picnic. Grampa starts a fire, we roast some hot dogs, drink hot chocolate, and enjoy some winter wonderland together. Some years we need snowshoes to get around in the woods, other years there’s no snow so it isn’t an issue. Who knows what it will be like in two weeks? We’ve had a little snow so far, but it hasn’t stuck yet. I’m NOT ready! :-) The only reason I’ve done some decorating is that every year we have a neighborhood get-together early in December, and it’s this afternoon! I have bought some presents, and I’ve written on my to do list for next week to work on a Christmas letter. I’ve started listening to Christmas music. But that’s it! We don’t put up our tree until after the neighborhood party, and we usually cut it from our yard, so that’s something for later. One year we were so late getting around to a tree, and didn’t have a suitable one in the yard, that K-Mart put all their trees on sale for $10 and we got a gorgeous 6 ft tall noble fir for $10!! Sometimes those external deadlines are helpful! I hope you have a great neighborhood party today. :) Happy first Sunday of Advent. We’ve got our tree yesterday! Yay! It was quite an adventure…lol…drove to the Christmas tree farm to cut our own, snow storm started, got lost on a 30 acres farm with 4 kids on foot and darkness approaching…. ;) should be a plot for the story! It was fun…then frightening…we laughed at the end but I was praying hard trying to find the way out. Instead, we bought one on the way home. Wish you all a blessed December! Oh, wow, that IS quite the story! Sounds as good as a corn maze in fall. Glad you found your way back out. Hi Valerie, I buy as many of my Christmas presents from Book Depository in October ever year. Makes it easy and who doesn’t love books right (plus I can sneak in a few extra for me)! We decorated yesterday but going light this year as we have 2 nearly one year old “kittens” and this is their first Christmas. We have a fibre-optic Christmas tree with a star and tinsel but no baubles this year. We also have wreath and hanging icicle lights from out curtain rods and ceiling (well away from large kitten paws and teeth. Outside we have a light up reindeer and sleigh and tree lights 😊🎅. We’ve had cats (or vice versa) for many years and, after one particularly adventuresome kitty, we learned to tie our tree to a hook in the ceiling! The two cats we have now are interested in the tree but not as naughty in general LOL. Isn’t Book Depository great? I was just able to gift one of my paperbacks to a reader in Germany. She won it in a giveaway in my FB reader group. I’m so pleased to be able to offer them internationally, and we do the same here on Inspy Romance in our semi-annual giveaways. Hello Valerie! My tree is up but no presents are wrapped! It has finally been raining in Northern CA and I have been enjoying cuddling up with my cat and reading! I haven’t wrapped a thing, either. I’m pretty stoked that I only have a couple of small things to pick up – the rest of the shopping is done! That’s always my big barrier. Love having kitty/reading time. Enjoy! I’m putting up three trees this year. In the past we’ve only done one. But last year we had a family Christmas gathering in our newly remodeled house. The tree was in the living room and our gathering was in the family room. The ornaments I have match my pastel vintage living room. The family room is cabin, rustic. This year I bought a pencil tree for the family room with glittery deer antlers and burlap buck ornaments to match the decor. We put it up before Halloween :) It’s so thin and takes up so little space, we didn’t even have to move any furniture. Since I have an office now and it’s decorated beachy, I bought a small white fiber optic tree to go with the half price sea shell ornaments I got after Christmas last year. I put the mini tree up last week, but we haven’t gotten the decorations out of the shed yet. We’re doing that this week and putting the tree up in the living room too since I’m hosting a Christmas party for my local writing group this weekend. But that’s all I do. I don’t have Christmas decor I set out or lights we put on the house. Just trees. Sounds fun, Shannon! Our house is so tiny that we basically look for a “pencil tree” in the woods. If we brought home a tree with too wide a base, we’d have to move some furniture out… and there’s no place else to put it! I’m more of a rustic girl myself, but we haven’t done antlers on a tree. I could get behind a beachy tree with shells though! My decorating is done and I love seeing all of the cozy Christmas lights at night. I still have a lot of shopping to do but I’m waiting to be inspired about what to get a couple of people on my list. That inspiration can be hard, can’t it!